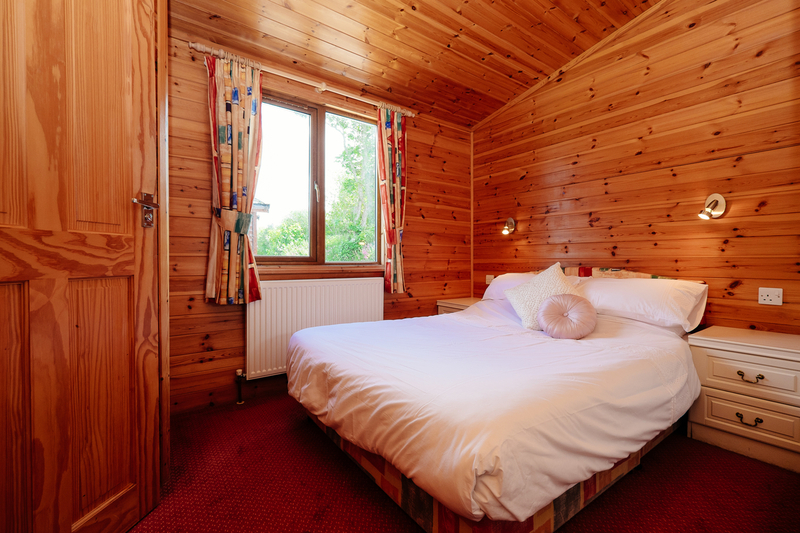 Our 3 bedroom lodges are 37′ x 20′. Large airy lounge with large full length windows. Fully equipped kitchen with quality appliances separate from the lounge. 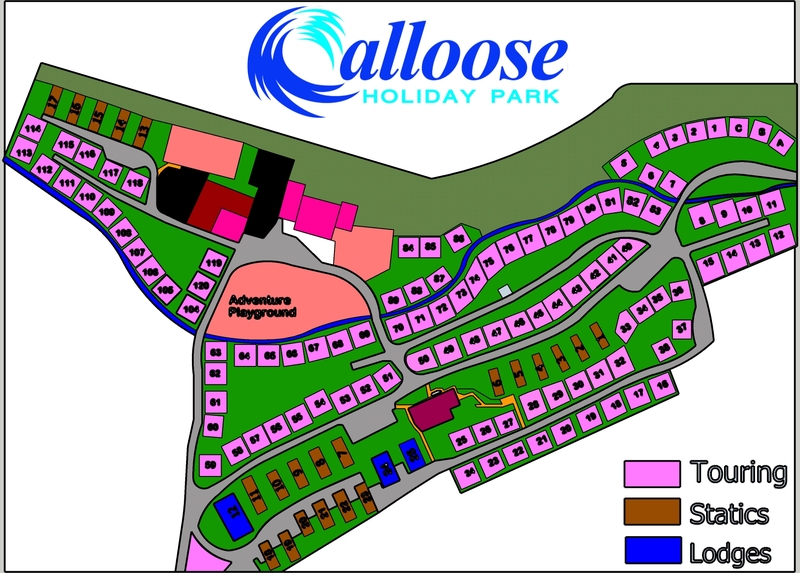 2 further bedrooms with 2 single beds in each. New carpets, iron, ironing board, hoover and outside table and chairs. 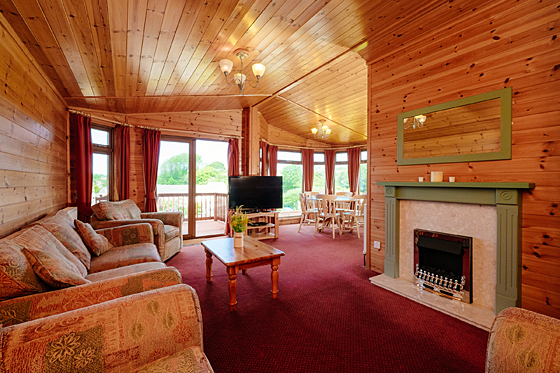 46″ Full HD LCD Freeview TVs and DVD..
Our luxury lodges are a spacious open plan, yet cosy retreat. 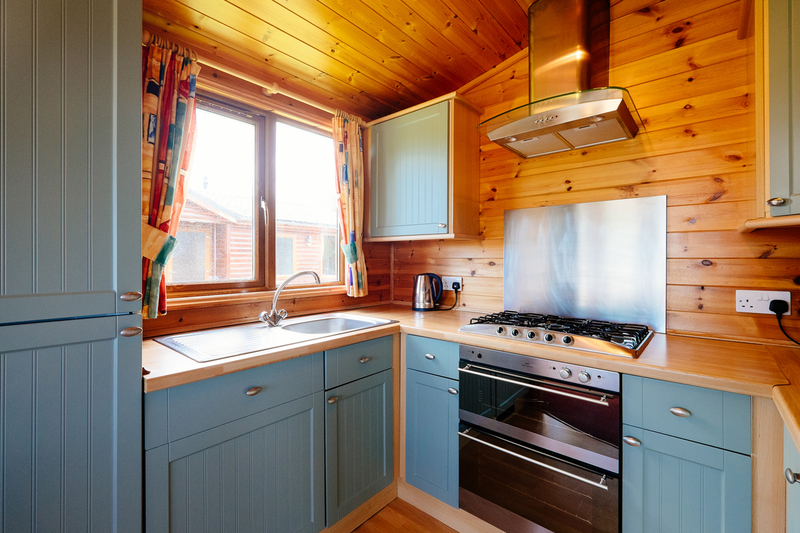 The lodges have everything you need to enjoy your self catering holiday including comfortable sofas and arm chairs, a 6 chair dining table and a kitchen with full size dishwasher, large fridge freezer and a spacious oven with 5 large hobs on the stove. 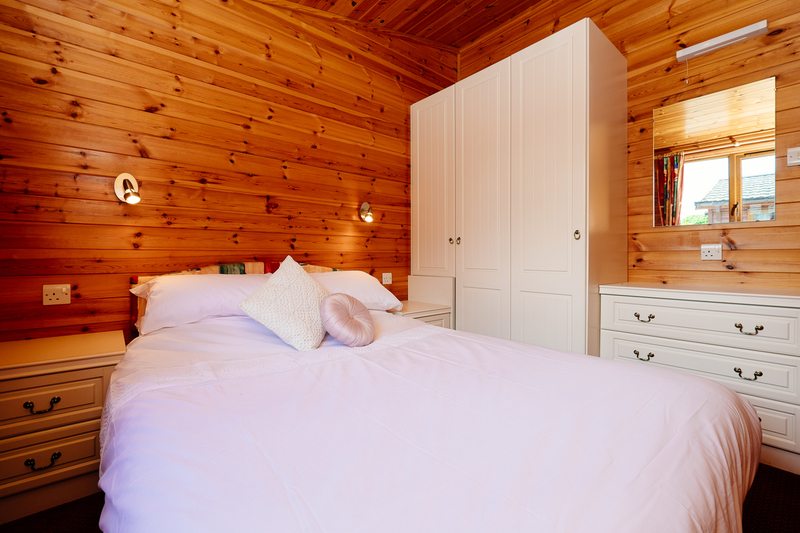 Bedrooms are very spacious with lots of wardrobe space. 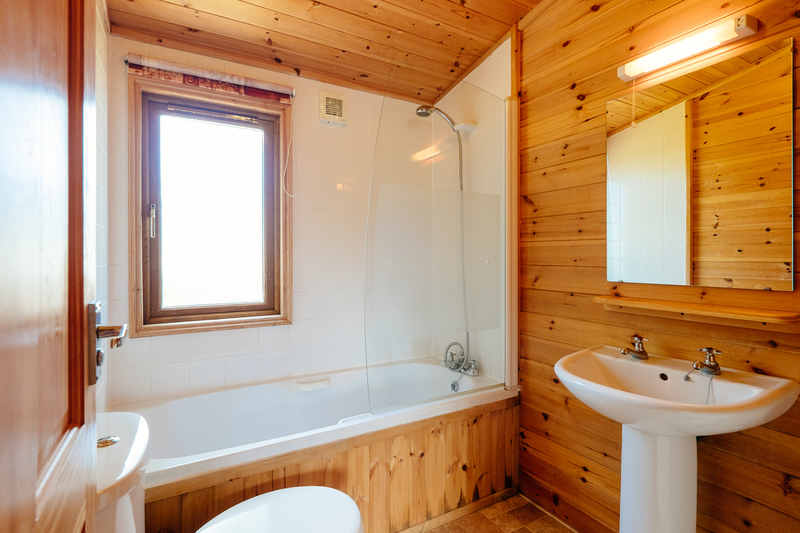 There is a large family bathroom with a full size bath with shower over and the master bedroom benefits from its own ensuite shower room. 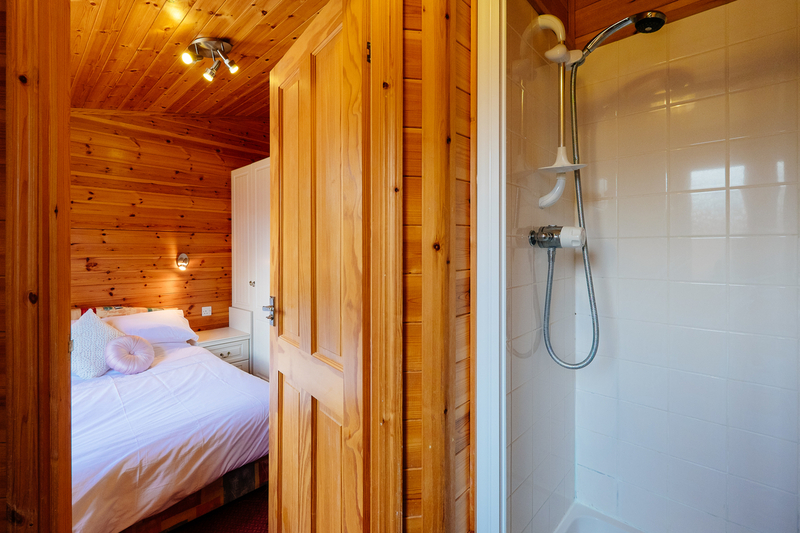 The lodges are also double glazed and have central heating. 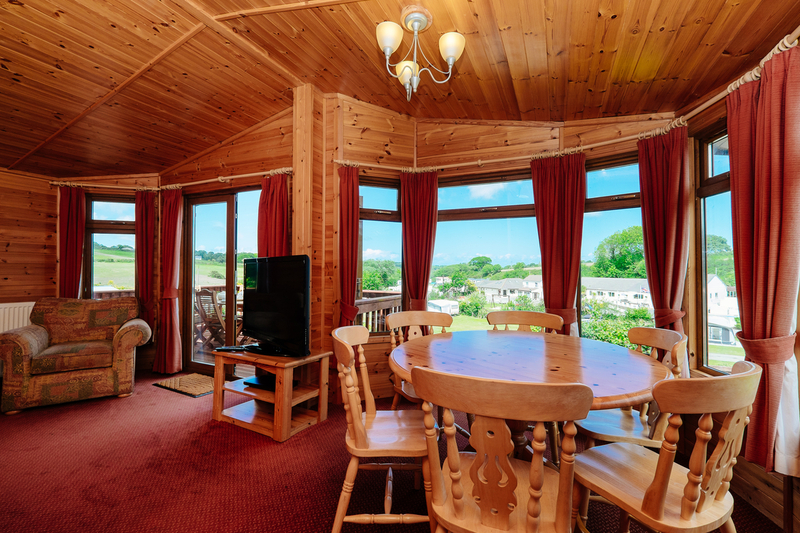 In the lounge you’ll find a 47″ television with DVD player and Freeview. 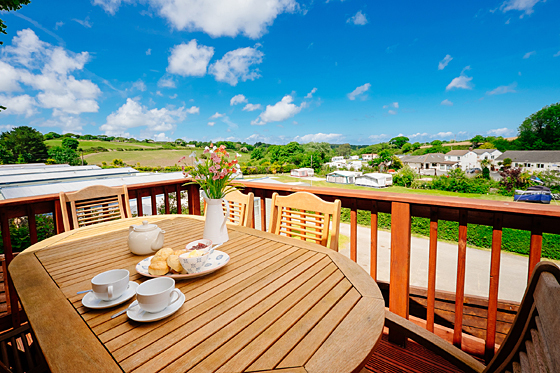 There is a large decked area surrounding the lodge with a balcony dining area overlooking the park and the beautiful countryside surroundings.